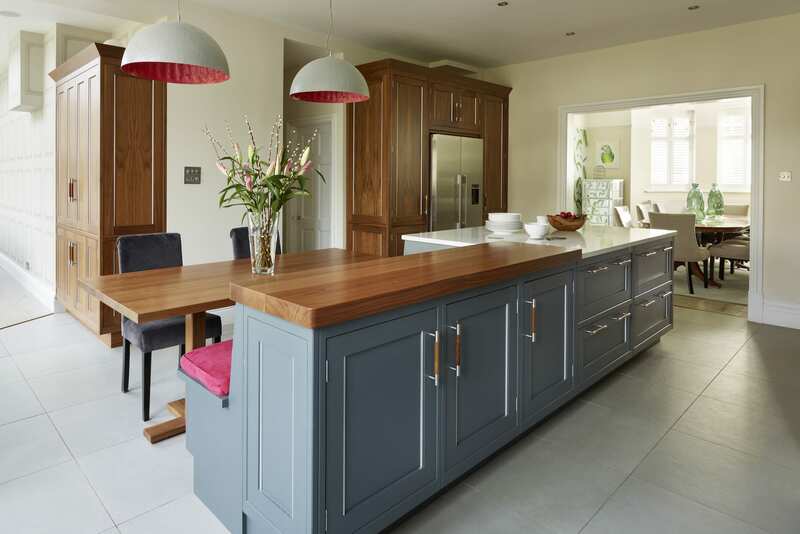 The Belgravia style is a classic-contemporary kitchen design, combining a traditional shaker style with contemporary design notes. The signature metallic bead detail on the Belgravia door brings a modern feel to this otherwise classic style. 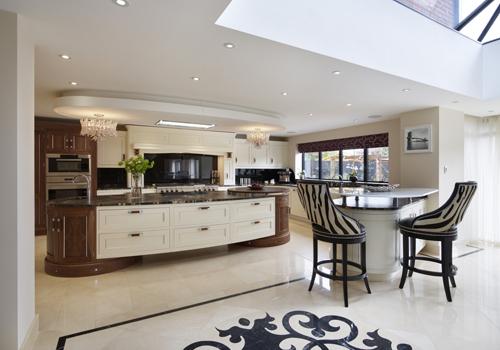 Frequently featuring hand-crafted, fluid curves, the Belgravia kitchen combines meticulous attention to detail with exquisite craftsmanship. 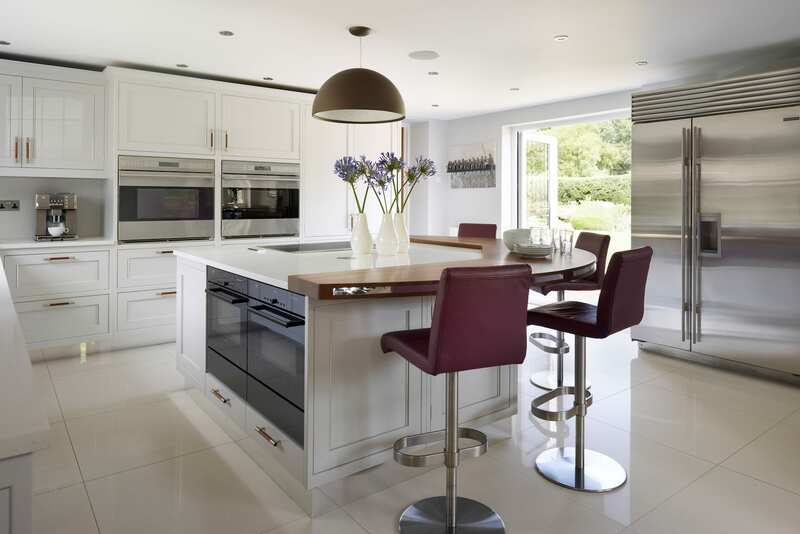 Rich walnut, hand-stitched leather handles and stainless steel accents are commonly seen within Belgravia kitchens; achieving the perfect balance between form and function.